A short and sweet post since I have bunches of recipes to write about in the next few weeks. Though I've not been blogging, I have been cooking and baking away. I sort of took an extended holiday break, but I'm back now. The first recipe I want to share is for some seriously amazing brownies. They are SO good--fudgy, but not overly dense or sweet. They have browned butter in the batter and I think that contributes to a depth of flavor many brownies lack. While they are chocolate-y, they are also nutty and buttery. Hard to explain but very delicious. And simple to make. The recipe is from the most recent Bon Appetit magazine--the cover recipe--and it's by Alice Medrich, one of my very favorite cookbook authors ever. You can find the brownie recipe here. 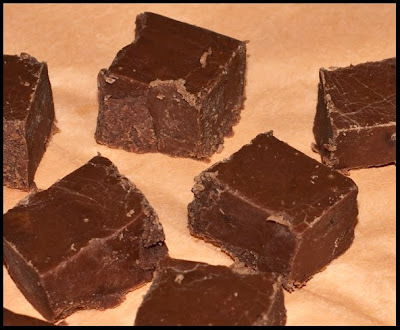 The fudge is a recipe I found on the back of a Marshmallow Fluff jar--"Never-Fail-Fudge". I don't know if it was a fluke or not since I rarely do well when recipes call for cooking something to "the soft ball stage", but this fudge came out perfectly. It was rich and creamy and had a texture that just melted on your tongue. I gave small boxes of this as gifts and people were raving about it. Though I'm not really a fudge person, this is something I want to make again towards the holiday season since the people I shared it with are already requesting more. I just hope that the recipe truly is "no-fail"! You're back with chocolatey goodness! 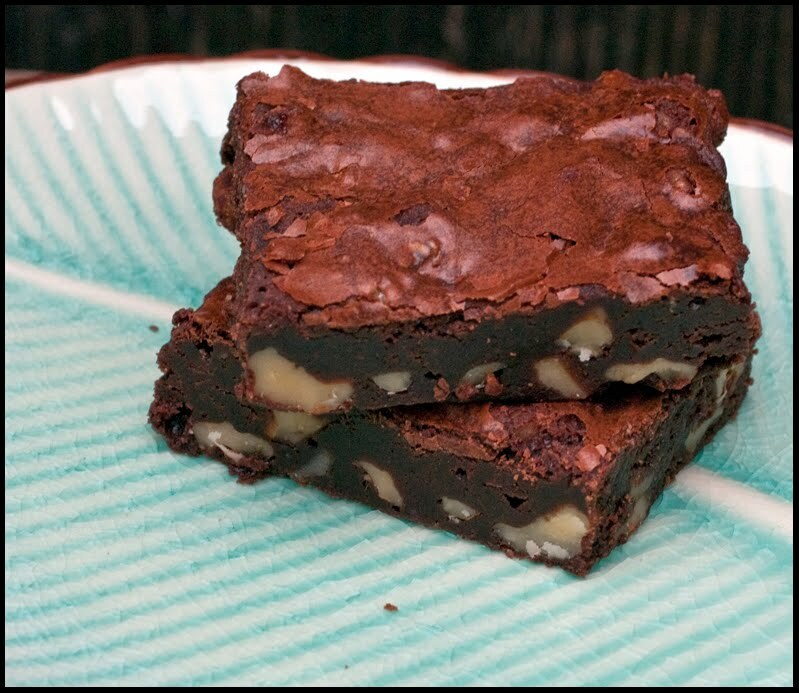 Those brownies look so good - fudgy with that papery crust that's so good on a brownie. It's wonderful that the fudge turned out so well too. I haven't had good luck with fudge.